Many people find themselves wanting to learn a new language either to have said language as one more thing up their sleeves or out of curiosity. Currently it is easy to learn new languages since content are available online with video tutorials that can help in improving your reading skills. This particular article gives a detailed set of helpful instructions on how to learn Korean without Romanization. Romanization of a language is the changing of writing format to another system of writing format, for example converting written words to Chinese characters. There are different applications and also websites that can allow learning Korean by visual associations in record time. Learning a new language such as Korean might prove to be very strenuous, demanding and difficult to navigate. This is learning a new language especially Korean, Chinese and Japanese in characters is very hard. When learning such languages it is often advised to start with the basics. Korean language has a very easy writing system, called Hangul that can be learned under 90 minutes. Also, the cost of learning Hangul is very affordable. Learning Korean in Hangul can prove to be very advantageous since; it will highly beneficial in pronouncing words such that when you speak Korean it can be understood. Hence enhancing your vocabulary skill. Learning Korean without Romanization also allows you to learn the language anywhere, while you are walking on the street through signs and posters. When learning Korean it is people are advised against only memorizing Korean phrases. This is because learning phrases is not learning a language; it is like memorizing a string of phone numbers and trying to remember each one of them therefore there is bound to be a mistake somewhere especially since the Korean language has a very specific nature. Most Korean books do not specify when to use phrases hence the use of phrases might be wrong. Do not just learn and leave it at that, test what you have learned. Use the Korean you learn by trying to say things you learn to someone and if the feedback is positive you will be remembering it and if it is negative you will be able to work on it. Also, do not fill yourself with new content. Too much vocabulary and grammar at the beginning of your learning journey is advised against. Actually it is better to know some words really well and to be able to use then other than fill yourself with a lot of words that you don’t really know how to use. Do not just rely on your dedication and curiosity for the language, construct a valid study plan to help you navigate learning Korean. This will enable you to learn a lot more a lot faster and enhance your motivation levels. Dedicate a few minutes every day to learn a little Korean in order to make it a habit. Making learning Korean a habit makes it your nature hence the language comes easier day by day and also it enables you to break down tasks. When your study habit and pattern is consistent it makes it very easy for you to remember things you learn. Long time goals and also short term goals to gauge your progress. Ask yourself questions like “where do I want to be in terms of my fluency at a given time”. This will increase your motivation level and push you to want to achieve your targets. In order to depict your dedication level, ensure to set realizable and realistic targets and also acknowledge your achievements whether small or big. This means that you should incorporate every aspect of learning in your studies, do not only focus on how to read Korean but also involve writing, speaking and also listening to Korean in your studies. Often people are better at one of those but it is advised to be all round. Ensure you are consistently practicing how to read, write, speak and listen to Korean language to improve your weak points. The basics of the language will be the foundation of your leaning journey. The main difference between English and Korean is their sentence structures. Understanding the Korean sentence structures and grammar will be very efficient. This will enable you to be engaged in Korean conversations if need be. Find a nice program to assist you in learning Korean and do not use other resources since this can confuse you. There are available programs whereby each chapter is an enforcement of the previous, this allow you as a student to grow efficiently by being able to mark progress. If you happen to mix your learning with other sources it can confuse you. Using a program with chapters or levels will help in management of personal goals whereby, targets can be realized by passing a level of the program. 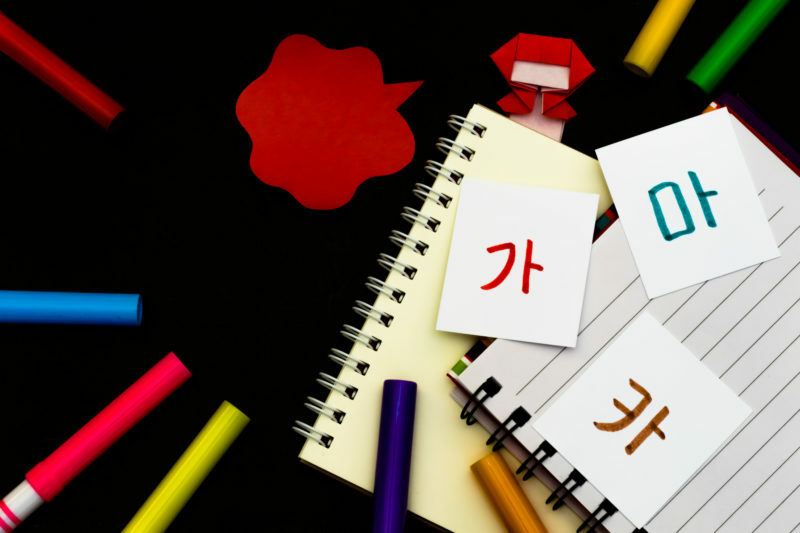 Sticking to the above how to learn Korean without Romanization guidelines will greatly enhance your Korean language skills and make you more fluent as time goes by. Also be patient with your progress since it will not take a day to learn or master the language and stay committed to your plan and goals.